Nine years after returning to the Indiana Jones franchise and one year after returning to Star Wars, Harrison Ford has returned to yet another of his most famous roles. 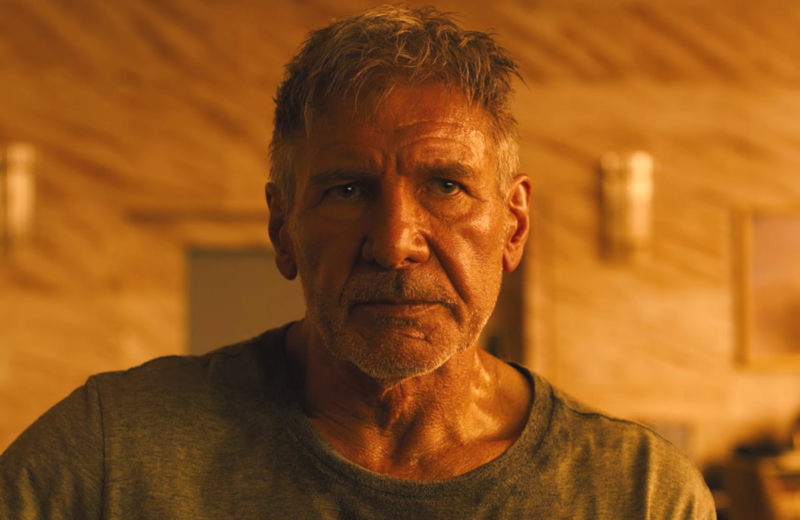 A new trailer for Blade Runner 2049 was released today and it looks crazy intense. The sequel to the 1982 hit film, Blade Runner, stars Ryan Gosling as Officer K, a new LAPD blade runner who encounters Rick Deckard, played by Harrison Ford, reprising his role from the original. According to Warner Bros. official synopsis, the film takes place thirty years after the original film (which is set in 2019), where Gosling’s character uncovers a secret that could reduce society into chaos. Seriously, we have so many questions, but first: Will Harrison Ford’s dog be okay? Do you not see that dog running away from danger? Don’t you dare kill the dog, Blade Runner. It seems that Ford’s character has been MIA since the events of the first film took place, meaning he’s *probably* been living as normal of a life as a person (or replicant) can after going through some serious drama. We can only imagine that the dog is is only companion so we seriously hope it survives that dramatic run. In addition to Gosling, Ford, and an adorable pup, the film also stars Robin Wright, Dave Bautista, Mackenzie Davis, Barkhad Abdi, Jared Leto, and Edward James Olmos, reprising his role as Gaff. Not gonna lie, we’re both curious and terrified to know what the humanity-ending secret could be. Blade Runner drama aside, we’re keeping our fingers crossed that Ford’s little pup is okay!